DUI-Related Traffic Deaths Up This Year in Southern Nevada – Are You Doing All You Can to Help Prevent Drunk Driving? – TAM Card® Nation in Vegas! DUI-Related Traffic Deaths Up This Year in Southern Nevada – Are You Doing All You Can to Help Prevent Drunk Driving? If you’ve been following the local news lately, you’ll know about the recent spike in pedestrian deaths around Las Vegas. In the past few weeks, a 15-year-old was struck by an alleged drunk driver in Henderson, a child was struck and killed by an intoxicated driver while trick-or-treating in Las Vegas, and a pedestrian was killed the following night while crossing the street at Cheyenne Avenue, also hit by a driver who was later booked for DUI (News 3 Las Vegas). Police are taking this time to remind drivers and pedestrians alike to be cautious, follow safety precautions, and most importantly, say no to drunk driving. In fact, according to the Las Vegas Review Journal, there have already been twelve alcohol-related traffic fatalities in Las Vegas this year, up from seven in 2010. As a service professional, are you doing all you can to help your patrons get home safe? Complete your mandatory alcohol education with TAM® of Nevada. TAM® will teach you and your coworkers to offer excellent and responsible beverage service while keeping patrons safe. TAM®-trained individuals receive the best education possible in safe serving and selling techniques. Become familiar with sober driving services available in southern Nevada. Keep the number to cab companies at your bar so that you can make the call whenever necessary. Companies like Designated Drivers, Inc. provide a responsible alternative to driving while impaired. A driver will be dispatched to take your patron home in their own vehicle, no worries about retrieving their car after they sober up. Keep a close eye on your customers. If a group of guests is at your establishment and an individual within the group is becoming intoxicated, check with a sober member of their group to make sure that they have a plan to get the intoxicated individual home safely. If there is no designated driver assigned, offer to call a cab. Alert your coworkers to make sure the individual is not served any more alcohol. Drunk driving is a preventable problem, and service professionals in Nevada can help make a difference, and potentially help save lives. 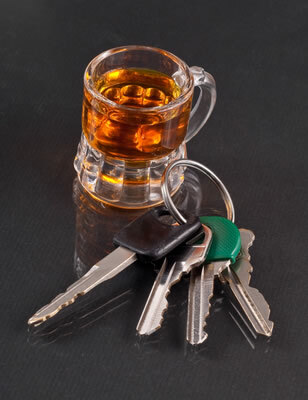 What other tips would you offer on how to help prevent drunk driving? Pingback: Las Vegas Police Issue DUI Citations after Super Bowl Celebrations – A Reminder about Safe Beverage Service | TAM® Nation in Vegas! Pingback: Making Safe Choices – April is Alcohol Awareness Month | TAM® Nation in Vegas!